On 1 October 2018, the US, Canada and Mexico announced they had reached a new trade pact that would replace the North American Free Trade Agreement. True to its intentions to develop “America First” trade policy, the US administration under President Donald Trump labeled it the United States-Mexico- Canada Agreement. Unsurprisingly, Mexico and Canada opted for names that highlight their own leadership, calling it the Tratado México Estados Unidos Canadá (TMEUC) and the Canada US Mexico Agreement (CUSMA), respectively. The inability of officials from the three countries to agree on a name offers a simple but clear reflection of the poor relations that characterized negotiations from the outset. Throughout negotiations, the US administration sought to use American economic dominance to bully Mexico and Canada into accepting terms that would advantage US interests over their own. The US President also repeatedly threatened to withdraw from NAFTA entirely to force concessions. Following the June 2018 imposition of US tariffs on steel and aluminum under section 232 national security measures, Mexico and Canada had little choice but to take Trump’s threats seriously. Given that rumored additional tariffs on US auto imports would have jeopardized the two smaller economies—not to mention bring an end to the North American integrated auto supply chain—neither Canada nor Mexico could walk away from the Trump administration’s aggressive negotiating proposals. In addition, the US gained further negotiating advantage over both partners by splitting Canada off from the trilateral negotiations during the summer of 2018, focusing first on finalizing a bilateral agreement with the outgoing Mexican administration of Enrique Peña Nieto. Once Mexico and the US completed the outlines of a deal, Canada was invited back to finalize a trilateral agreement. Isolated, Canada was forced into a series of concessions, ultimately signing onto the new USMCA the eve before the US imposed deadline. Outlined below are some of the key differences contained in the new USMCA relative to the NAFTA predecessor from the perspective of Canada. The article then provides analysis on what these changes mean for the Canadian economy, North American trade relations moving forward, and Canada’s broader international trade strategy. Canadian negotiators favored modernizing and deepening the NAFTA agreement rather than tightening it. Much of the new USMCA is unchanged from the original NAFTA. This lack of genuine difference between NAFTA and the USMCA has been derided by some American commentators, leading them to dismiss the renegotiation as little more than a cosmetic exercise orchestrated by the Trump administration to distance itself from the maligned NAFTA acronym. However, the consistency of the two agreements is regarded much more positively by Canadians, where NAFTA already enjoyed broad public support of 80 percent prior to the renegotiation. Not surprisingly, Canadian negotiators favored modernizing and deepening the agreement rather than tightening it. Nevertheless, the changes that are reflected in the USMCA are significant, and the key ones for Canada are outlined below. Most substantively, new rules of origin for automobiles require 75 percent of vehicles to be produced with North American content, including a 70 percent North American steel and aluminum requirement. In addition, 40-45 percent of the labor used to produce the vehicles must be compensated at 16 USD per hour or higher. These changes represent a major shift from NAFTA’s 62.5 percent rule of origin requirements. Since Canadian labor is already very expensive, the new rules will not increase domestic wages but will instead reduce the attractiveness of Mexico as a cheaper production location. They will also require more onerous tracing procedures, will likely raise the price of vehicles, and reduce overall competitiveness of the North American sector relative to cheaper production regions in Asia. NAFTA’s intellectual property (IP) and services chapters have also been modernized, and new chapters on environment, labor, digital and small business were largely transplanted from the 12-country Trans-Pacific Partnership (TPP). Given that Mexico and Canada are members of the 11-country pact to replace the TPP (the Comprehensive and Progressive TPP [CPTPP]), the addition of these chapters to the USMCA was welcomed by all parties. However, the US added some measures to the USMCA that were suspended from the CPTPP when the Trump administration withdrew from the TPP. For example, the USMCA contains stronger data exclusivity protections for biologic drugs of 10 years, and copyright extensions of 70 years following the creator’s death. These measures will require Canada to strengthen its domestic laws to align with the new USMCA rules. An additional chapter on good regulatory practices extends trilaterally the regulatory cooperation process that was first announced between Canada and the US in 2011 by President Obama and Prime Minister Harper. In the agricultural sector, Canada has agreed to reduce some of its own protectionist barriers to US exports of grain and wine that have been long-time irritants for the US. In addition, Canada will provide the US with greater access to its supply-managed dairy, egg, and poultry sectors. Canada also agreed to dismantle a new regulatory classification for certain milk ingredients, which applied domestic price controls that disincentivized US exports. Although Canada has offered only 3.6 percent access to its dairy market in the final USMCA, Canada has recently made a series of comparable concessions to other trading partners in Europe and Asia. The cumulative impact of foreign dairy products entering the Canadian market from many countries is likely to challenge the long-term viability of Canada’s supply managed system. Canada will increase its de minimis levels to 150 CDN for duty-free shipping and 40 USD tax-free shipping. Canada has one of the world’s lowest de minimis levels at 20 CDN, making this a significant shift for Canadian retailers, whose business models are already deeply impacted by the rise of online shopping. Canada successfully retained the original dispute settlement chapter from NAFTA (chapter 19), largely hailed as a victory over US Trade Representative (USTR) Robert Lighthizer. However, Canada also actively cooperated with Lighthizer to drop NAFTA’s investor-state dispute settlement chapter from the USMCA (formerly known as chapter 11). Under NAFTA, chapter 11 provisions had largely served the interests of US business at the expense of Canada, which remains the most sued NAFTA partner under chapter 11. Elimination was welcomed by civil society and environmental groups in Canada who regarded the chapter as infringing on Canada’s sovereign right to regulate in the public interest. Despite this, the lack of agreement-specific investor protections could further erode the attractiveness of both Canada and Mexico for American investors. 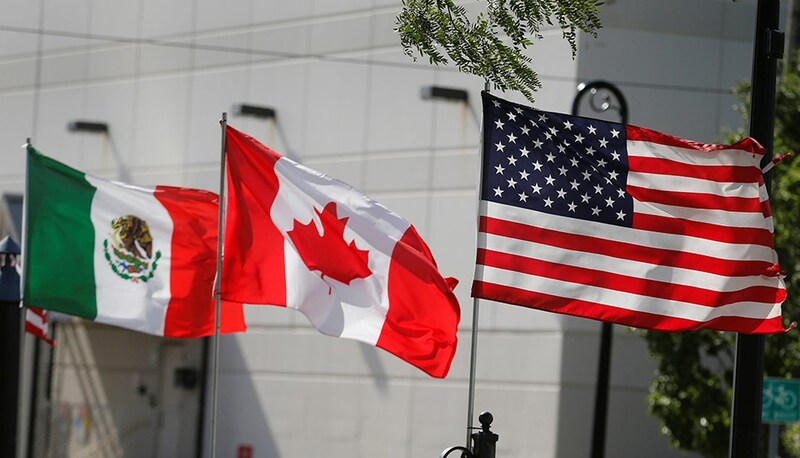 Finally, all three USMCA partners agreed to the US-led proposal to provide three months’ notice of formally launching free-trade talks with a “non-market economy,” largely regarded as being directed at China. In addition, USMCA partners could terminate the USMCA agreement with six months’ notice after reviewing the text of any such agreement. Of course, NAFTA already contains withdrawal procedures that allow partners to terminate the agreement with six months’ notice for any reason, suggesting the “China clause” is more politically motivated than policy enabling. Under the USMCA, new rules of origin for automobiles require 75 percent of vehicles to be produced with North American content. What About Other Canadian Goals for the Negotiations? Ultimately, the Canadian side was not able to advance any of these issues. Canada has not signed on to the new USMCA chapter on government procurement, resorting to World Trade Organization rules with the US and CPTPP provisions with Mexico. On temporary entry, Canada and Mexico have been unable to make inroads with the US for more than a decade, and President Obama also refused to negotiate new provisions via the TPP. Given the anti-immigration posture of the Trump administration, it is hardly surprising that Canada made no headway in this area. Similarly, the vastly different visions for international trade that have been advanced by the Canadian government under Justin Trudeau versus Donald Trump suggest that Canada's goals for new gender and Indigenous chapters were always naïve. This was particularly the case for an Indigenous chapter, where the three North American countries have dramatically different legal, regulatory, and political frameworks with respect to Indigenous populations. Despite this, a handful of provisions are contained in the USMCA to protect each country’s legal obligations towards Indigenous populations and to protect policies that offer preferential treatment to Indigenous groups and businesses. These reflect small but meaningful improvements over NAFTA. The acrimonious nature of negotiations has badly damaged relations between all three countries, but especially between Canada and the US. Donald Trump is much maligned across the Canadian political spectrum, and his negative comments directed at Prime Minister Trudeau and Canada’s foreign minister Chrystia Freeland have made it difficult for the Canadian government to promote the final agreement domestically. Separately, Mexico’s willingness to conclude an agreement bilaterally with the Americans has caused a rift between Canada and Mexico that persists. For example, following the conclusion of the USMCA, Canada took safeguard action against several countries including Mexico over the trans-shipment of steel, a gesture the Mexicans met with indignation. Meanwhile, Mexican President López Obrador has been slow to name an ambassador to Canada, despite installing a representative to the United States immediately. While the robust, deep trading relationships in all three countries will help to inoculate trade flows against such diplomatic disruptions, leader level engagement must improve. The acrimonious nature of negotiations has badly damaged relations between all three countries, but especially between Canada and the US. Ratification of the concluded agreement now falls to each NAFTA country’s legal procedures; however, all eyes are glued on the US Congressional process. The likelihood of American ratification was dramatically reduced by Republican mid-term election losses last November. Attention in the new Democrat-controlled House of Representatives is focused on other domestic matters, and it is not at all clear whether Democrats will support USMCA’s ratification. The Democratic party has traditionally been more anti-trade than the Republicans, and every Democratic presidential candidate since NAFTA’s initial passage has opposed the agreement. Still, Democrats cannot ignore the reality that the USMCA reflects better labor and environmental protections than the status quo NAFTA, as well as greater incentives to discourage outsourcing to Mexico. For his part, Trump has threatened to trigger withdrawal from the current NAFTA if Democrats fail to proceed with the ratification process. Such a signal would be categorically devastating for the Canadian economy which has already experienced investment chill due to uncertainty around NAFTA. For this reason, Canadian officials and private sector organizations are actively encouraging the USMCA’s swift passage by their American counterparts. For example, the Business Council of Canada launched an interactive tool in 2017 that presents the annual value of US goods and services exported to Canada, as well as the number of US jobs supported by that trade. The data is available for every US Congressional representative, providing both state and Congressional district level data. For the vast majority of US elected representatives, Canada is their home state’s top export destination. Ultimately, many Democrats may find it challenging to vote against a pact that creates local jobs for their constituents. Finally, Canada and Mexico continue to appeal to the US to drop the steel and aluminum tariffs it imposed last June, hoping to use USMCA’s ratification to advance their request. However, the President is pressing the two smaller trade partners to accept quotas that would limit their steel exports to the US over the long-term. Canada and Mexico are two of the largest exporters of steel to the US, and so quotas would represent a major setback for both countries. It seems that the most successful strategy to repeal the tariffs will originate from those in the US private sector whose economic interests are most hurt by them. Loud and unified appeals from US business are more likely to gain traction with US lawmakers, particularly as the 2020 Presidential election approaches. Wounded but alive following the conclusion of the USMCA talks, Canadian trade officials are more committed than ever to diversifying the country’s trade relationships. For example, the federal minister responsible for the portfolio has been retitled the “Minister of International Trade Diversification,” and has been traveling the globe promoting Canada’s new trade agreements with Europe and CPTPP countries. Despite these laudable efforts, historical evidence demonstrates that Canada has not been very successful at such attempts in the past. For example, in the early 1930s, Canada worked to increase exports to Commonwealth countries in response to American protectionism via its Smoot-Hawley tariffs. Those efforts failed to broaden Canadian trade relationships in a meaningful way, and the small gains that were made dissolved when Canada and the US normalized trade relations again a few years later. Nearly 100 years later, it is possible that expansions in services trade may adapt more readily to a diversification agenda, however further diversifying Canadian goods trade beyond existing partners will be challenging. To make matters worse, the same gravitational pull that has always drawn Canada into the US’ orbit has also stymied Canadian efforts to make progress with China. Although Canada attempted to walk a fine line between the two superpowers by advancing trade relations with China while relying on historical trade ties with the US, the Trump administration has begun forcing allies to pick sides in its dispute with China. For example, the USMCA “China clause” outlined in a previous section of this article caused many in the Canadian foreign policy community to bristle at the infringement on Canadian sovereignty. In retrospect, the USMCA clause has proven minor in the face of the diplomatic bomb that detonated last December when Canada cooperated with US authorities to arrest Huawei’s Chief Financial Officer, Meng Wenzhou, for potential extradition. China’s retaliatory detention of two Canadians, as well as sentencing to death a third Canadian convicted of drug offenses, has severely damaged bilateral relations. Canada-China trade relations are expected to worsen in the coming months, and compounded by the effects of the US-China dispute, may extend for years. Ratification of the concluded agreement now falls to each NAFTA country’s legal procedures; however, all eyes are glued on the US Congressional process. As the international trade landscape grows more uncertain, Canada finds itself in a difficult position. Although the conclusion of USMCA negotiations was welcomed with a collective sigh of relief in Canada, the overall pact is not regarded as an improvement over NAFTA. Ongoing political uncertainty in the US means that the USMCA’s ratification is likely a long way off, meaning that the investment chill blanketing Canada may not thaw for some time. Meanwhile, relations with Canada’s largest trading partners are tense and uncertain, leaving Canada unsure of its next steps. More broadly, Canadian leadership does not seem to have fully come to terms with the consequences that shifts in the international trade order may have for the country’s stability and prosperity. However, Canada is not alone in its confusion, and is cooperating with European, Asian, and traditional allies to preserve the international trading system and develop new solutions. Still, even these multilateral initiatives appear to reflect placeholder exercises that await the US’ return to its place of international leadership. Should that not happen, and should the US continue to pursue aggressive unilateralism after Trump is out of office, no economy will be more isolated than Canada’s. Jim Tankersley, “Trump Just Ripped Up Nafta. Here’s What’s in the New Deal,” The New York Times, 19 October 2018. Caroline Freund, “Streamlining Rules of Origin in NAFTA,” PIIE Policy Brief (June 2017), pp. 17-25. Meredith B. Lilly, “Advancing Labour Mobility in Trade Agreements: The Lost Opportunity in the Trans-Pacific Partnership,” Journal of International Trade Law and Policy, forthcoming. 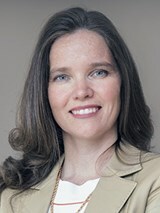 Meredith B. Lilly, “The NAFTA Road Ahead: Why Canada Must Be in the Fast Lane,” Policy Magazine, (September-October 2017), pp. 29-31. David S. Jacks, “Defying Gravity: The Imperial Economic Conference and the Reorientation of Canadian Trade,” Explorations in Economic History, Vol. 53 (July 2014), pp. 19–39. Dr. Meredith B. Lilly is an Associate Professor and Simon Reisman Chair at the Norman Paterson School of International Affairs at Carleton University in Ontario, Canada.